HOOD RIVER, Ore. – A wine available primarily at restaurants won best in show at the inaugural Great Northwest Invitational Wine Competition. 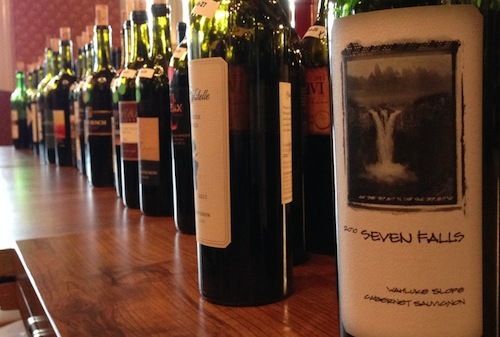 The Seven Falls 2010 Cabernet Sauvignon from the Wahluke Slope in Washington earned top honors at the competition. It is a $15 wine that is made by Doug Gore, a senior executive at Ste. Michelle Wine Estates and former head winemaker at Columbia Crest. The wine is available primarily on restaurant wine lists, though it also is sold online through the Seven Falls website. Elk Cove Vineyards in Gaston, Ore., won best white wine for its 2012 Pinot Gris. Lumos Wine Co. in Philomath, Ore., brought home the trophy for best rosé with its 2012 Chiquita Pinot Noir Rosé. And Capitello Wines in Eugene, Ore., won best dessert wine for its 2011 Dolcino, a late-harvest Gewürztraminer. 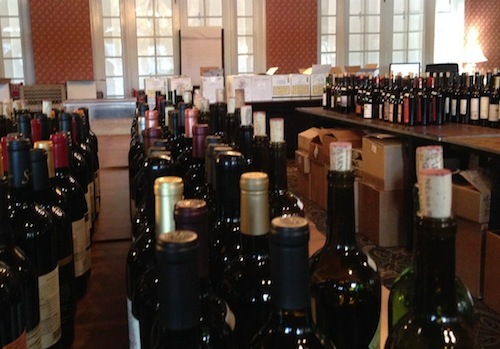 The Great Northwest Invitational Wine Competition, run by Great Northwest Wine, is unlike any other competition because the wines are nominated by the judges. For most competitions, any winery may submit any wine it wishes. Cole Danehower is the publisher at EssentialNorthwestWines.com, contributes the Northwest content for Hugh Johnson’s Pocket Wine Book and was longtime editor of Northwest Palate magazine. Ilene Dudunake owns A New Vintage Wine Shop, 12-year-old business near Boise, Idaho. Don Elsing is the wine director at Sun Mountain Lodge in Winthrop, Wash.
Dave Holstrom owns Guy du Vin, a restaurant wine program consulting business in Portland. Chris Horn is the wine director at Seattle-based Heavy Restaurant Group and Purple Cafe & Wine Bar. Lane Hoss is vice president of marketing at Anthony’s Restaurants. Tim O’Brien is corporate director of beverage at Salty’s Restaurants. Yashar Shayan is a sommelier and founder of the Seattle-based retailer ImpulseWine.com. Mark Takagi is specialty sales director of the Seattle-based Metropolitan Market group. Matt Tessler works for Full Pull Wines in Seattle. Jean Yates is founder and former owner of Avalon Wine in Corvallis, Ore. She now owns Oregon Wine Marketing. The competition was conducted blind, meaning the judges knew neither the producer nor the price. The competition took place at the historic Columbia Gorge Hotel, one of the grand hotels of the Pacific Northwest. Andy Perdue is the editor and publisher of Great Northwest Wine. He is a third-generation journalist who has worked at newspapers since the mid-1980s and has been writing about wine since 1998. He co-founded Wine Press Northwest magazine with Eric Degerman and served as its editor-in-chief for 15 years. He is a frequent judge at international wine competitions. He is the author of "The Northwest Wine Guide: A Buyer's Handbook" (Sasquatch, 2003) and has contributed to four other books. He writes about wine for The Seattle Times. You can find him on Twitter and Google+. Really great wine competition guys. One of the best I’ve had the pleasure of judging. Cheers!